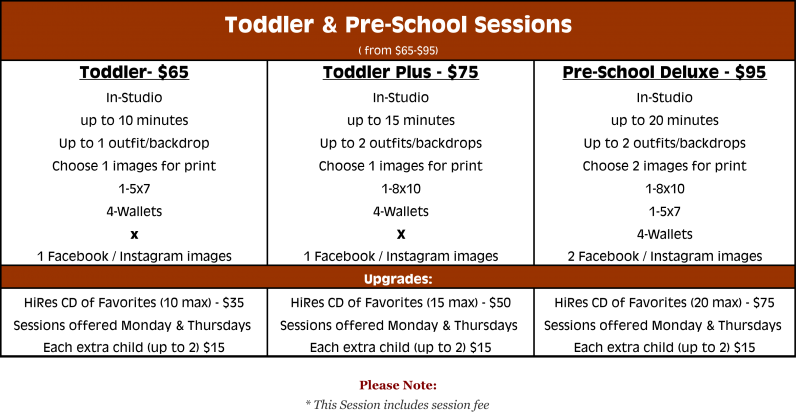 Click here to schedule your Toddler Session! 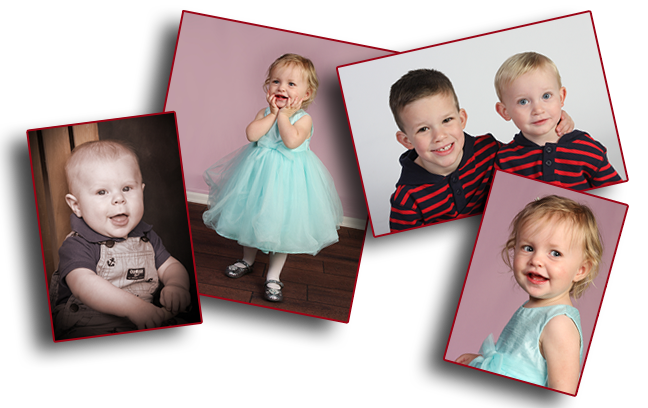 ﻿﻿﻿﻿﻿Our Toddler & Pre-schooler packages are meant to be quick, affordable solutions to maintaining a fun visual record of your young children's development. These Toddler & Pre-Schooler packages begain at $65, and include a nice selection of upgrades. At Picture It Studios we enjoy having kids visit and even have a special simi-enclosed "play-area" to help them feel appreciated and comfortable. We have a number of props for the younger set, that are often in nearby storage. Please discuss options with our staff, so we meet your expectations when you arrive for your scheduled portrait session.